With a Tsunami* of September part-exchanges racing towards us, prices today polarised between fair to dear for the status stuff and rock bottom for repmobiles. Lexus IS200s were similarly stiff money, with £10,500 paid for a 39,000 mile 99T SE manual and £10,600 for a 48,000 mile 99T SE auto. A 19,000 mile 2000V Honda S2000 roadster with the old plastic rear window sold for £16,800 and a nice colour, nice spec 29,000 mile 2000W Alfa 156TS with just one minor scratch went for £7,825. But if all you need are quick, economical wheels and no status at all, you can’t go wrong with a late old-shape Mondeo. Selling for just £6,000, an 18 month old 15,000 mile Mondeo 1.8Zetec has never been as cheap. 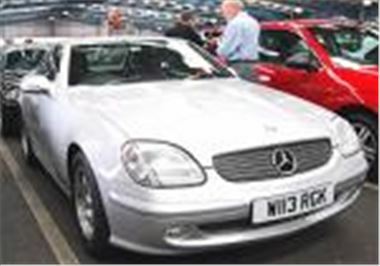 To rub it in, a 34,000 mile 2001Y 2.0 Zetec sold for £5,725, a 23,000 mile 2001Y 1.8 Zetec for £5,275 and, in the Inchcape section, a 75,000 mile 98R 2.0LX (horribly like mine) for just £2,000.